We are committed to developing our coaching staff to provide members with a wide and varied training program. I qualified as a Level 2 coach in early 2016 after 2 years as a Level 1. The new qualification allows me to become much more involved in the ‘bigger picture’ for club coaching. In conjunction with Paul Barron, the other Level 2 coach, we are working on a much more structured plan for the club with fitness peaks based around our Championship races. Working alongside coaches from other clubs on the Level 2 course reinforced just how lucky ATC is to have such a dedicated and hard working group of coaches. It seems very few other clubs can offer such a variety and level of coaching that we can and being part of the team is incredibly satisfying. As the Head Swim Coach my speciality is in swimming but I’m always happy to offer advice on all aspects of triathlon. I joined ATC with no background in competitive sports but have always been interested in helping to give people the opportunity to achieve what they set out to do. I gained my full run coaching qualification in January 2014. I coach the Monday night run session which currently is from 7.30pm to 8.15pm at Victoria Park in Ashford. The sessions are suitable for all levels of runner, from novices through to experienced runners, all keeping together but working at different levels. All welcome. I am now qualified to lead these sessions as part of the ATC programme. Having competed at all distances of triathlon I have become interested (and reasonably competent) in the topic of Nutrition, which I also lead an annual discussion/session with other coaches. I was voted the South East Regional Participation Coach of the Year in 2018, a great honour for me and the Club. Having joined the club in 2011 and attending as many coached sessions as possible, it was clear that the benefit of proper coaching was invaluable in becoming a better athlete. Throughout 2012 I progressed more than I had in the previous 5 years of doing it alone so decided it was time to give something back to the club that had supported and coached me so much. In early 2013 I enrolled on a Level 1 Triathlon coaching course and again with the support of the club recently passed my exam to become a fully qualified coach. I am now looking forward to passing on my training, experience and enthusiasm to anyone who would like to take part in Triathlon regardless of ability or fitness level. I qualified as an ASA level 1 swimming teacher in 2002 and became a level 2 teacher in 2005. I help ATC members who are not strong or confident swimmers to learn front crawl and get ready for their first triathlon. My lane is a teaching, rather than a coaching lane – I adapt my sessions to the needs of the swimmers I am working with and focus on getting them to master the basics of front crawl so that they can move on to work on distance and pace. I get a lot of satisfaction out of seeing the swimmers I have taught gain confidence, swim well and achieve their triathlon goals. I learned to swim properly in my thirties and have since done a number of 1,500m and 5k swims, so am living proof that it’s never too late to learn! I have been an ATC member for several years now and have received great training and competition advice during that time. I now feel it is time to give back to the club by becoming part of the coaching team. Having only recently qualified as a level one triathlon coach and I shall be endevouring to help the more experienced coaches with the their sessions. 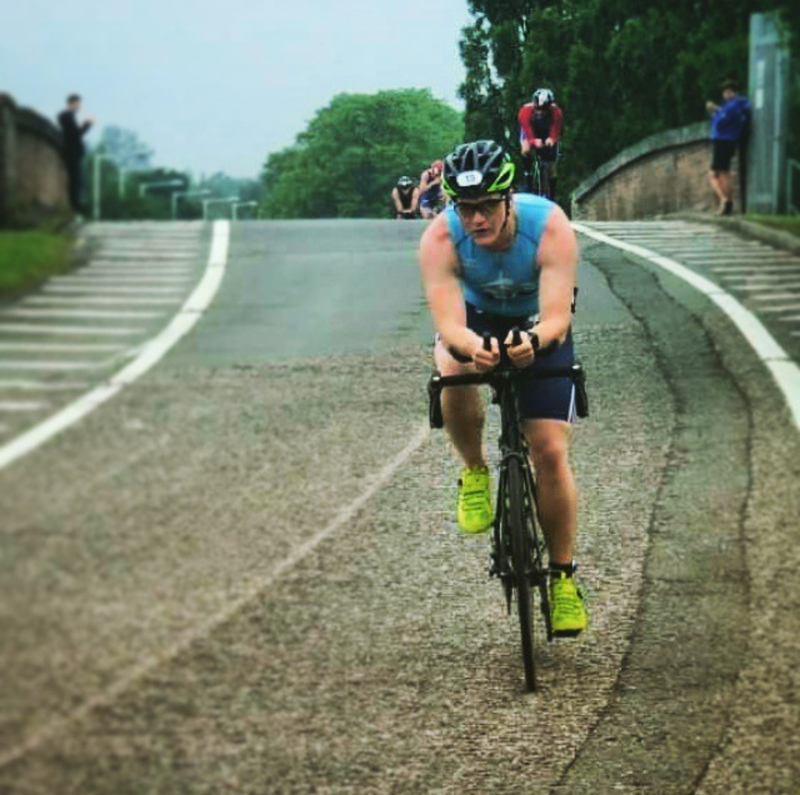 After helping out at running sessions and seeing the benefits of being coached in swimming and cycling, I was offered the opportunity to become a Level 1 BTF triathlon coach. I qualified in March 2015 and now regularly coach at swimming and running sessions and assist our level 2 coaches on group rides. As a coach I believe that anyone, whatever their ability, age, gender or background, can be a triathlete and that the first step is to turn up and have a go! The club has an ethos that no one is left behind and everyone is welcome. So go on make that first step and hopefully I will see you at one of our sessions. I started out, by attending the Thursday evening ATC coached running sessions in 2013, after my husband persuaded me to go. Every member was friendly and gave me encouragement. Paul Barron was fantastic and helped me through my first session. From that day I’ve always wanted to help others. So in October 2015, I qualified as a run leader coach. In those 2 years I never thought I would adventure out of my comfort zone and participate in triathlons. The first one I took part in was Cranbrook sprint and I was very nervous. Surprisingly it was really enjoyable. After the shock of being punched in the face in the pool, whilst swimming, I still managed to complete the race. In the short space of time I’ve managed to complete 2 sprints, 1 standard , 1 middle distance and this year, July 2016, I competed in the outlaw half Ironman Holkan in Norfolk. 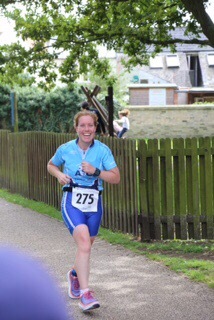 I joined Ashford Tri Club in May 2014 after getting bored in the Gym. I had only been running 4 months and swimming properly for 6 months. I have always been into cycling, BMX when I was young, racing bikes in my early teens and then another BMX in my late 30’s. Falling off seems to be a common theme! Fast forward 18 months, after being coached by the club’s coaches and 5 triathlons later, I was asked if I wanted to train as a Triathlon coach. I was amazed that I was regarded as good enough to train as a coach as I had only been participating for such a short time. I love being part of this club and love being able to give something back and help members improve performance. Whether its technique in the pool, a new PB in a tri or reaching a goal out on the bike. It reminds me of the first time I achieved them myself. If you need help or advice with anything, please don’t be afraid to ask. After my first season in the sport in 2015 I knew I wanted to learn more. As an educator by profession I have always loved learning and have always wanted to understand the most I can about things I am interested in. Triathlon caught my attention after my friends at park run brought me along to a go-tri event, the rest is history. I was nominated to go forward with being trained as a coach and I haven’t looked back since. Qualifying in 2017 I coach regularly in swimming and cycling, my strengths. As lead cycle coach I am most passionate about that discipline, a cyclist that dresses like a triathlete from time to time. I am responsible for organising and managing Sunday cycle rides and other cycle coaching events throughout the year.